You’ll be spoilt for choice with the wide range of walking tracks in the Cromwell area. There are walks in every direction, for every fitness level and at every altitude; from river and lakeside to high hill tops. 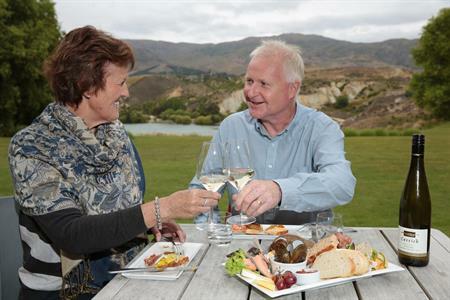 The wider Cromwell area was a former Central Otago gold mining stronghold so it’s not surprising that many of the popular tracks wend their way through and around former mining relics and settlements. There are longer and more challenging hill walks into desolate, sub-alpine areas of stark beauty. Quartz Reef Tailings, also known as Northburn Tailings is a short up-hill walk, 8km from Cromwell off SH8 heading to Tarras. You’ll walk by herringbone shaped stacked rock heaps, a Chinese stone hut, and tailings of gravel ‘wash’; all relics of gold mining during the 1860’s. 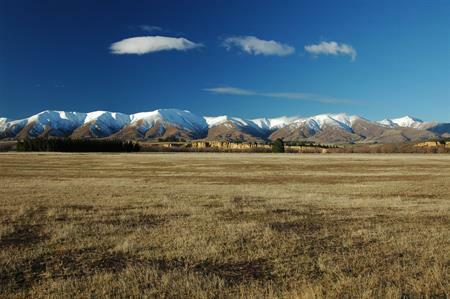 The 45-minute- return walk also has great views of Lake Dunstan, Cromwell and the Pisa Range. Tangible reminders of a way of life long gone are everywhere on the 3.5km, 2 hour walk up through the Bannockburn Sluicings. The track, signposted from Felton Road, winds up around sluicings and crumbling water races, tunnels and stone walls to long deserted Stewart Town. High on the hill is Bendigo a former bustling hard rock gold-mining area. There are three main walks to give you a taste of what was: the 1.5km, 45 minute Bendigo Mine Loop; the 4km, 1.5 hours Aurora Track; and a 10km, 5 hour tramp along the Kamaka Track. Million-dollar views are yours for the taking on the Cairnmuir Track. The track follows the range of the same name and runs from the south side of the Cromwell Gorge. 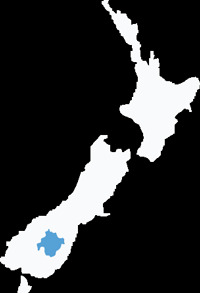 There is a 25.5km, or 6km tramping or mountain biking option. Another high altitude walk is Carricktown, up on the Carrick Range behind Bannockburn. It’s another 19th Century gold mining town with tell-tale remains including a stamper battery. There are two options: A 6.5km. 2.5 hour walk to the Carricktown remains; and further up the road a 1km, 30 minute walk to the Young Australian Water Wheel. Take in all the sights at a leisurely pace along the Cromwell-Bannockburn Lakeside Walk. The track starts near Old Cromwell Town. The short option finishes at Bannockburn Bridge and the longer option continues on for another 7kms to the Queenstown-end of Pearson Road. An easy-going walking and mountain biking track ideal for a cruisy holiday jaunt. The walk starts from Old Cromwell Town and there are two options: a 5km circuit, or a 19km walk to Lowburn and back. If you’re thirsty for some excellent views of the Cromwell basin zigzag your way up the short and steep Old Reservoir Track accessible a short distance down SH8 from the Bruce Jackson Lookout. The water from the reservoir is long gone but the stunning views remain.